Students, staff and community members gathered in the Blackville School gymnasium on Thursday, June 2 for the Annual Recognition Day. Middle School Vocal Soloist of the Year is Cassidy Coughlan and the Middle School Music Student of the Year award went to Emily Peterson. High School Vocalist of the Year is Ashlyn Moody and Cassandra Waugh. High School Instrumentalist of the Year is Cameron Hambrook. The High School Music Student of the Year Award was shared between Josie Furlong and Cassandra Waugh. Middle School Male Athlete of the Year is Daniel Richard and Middle School Female Athlete of the Year is Olivia Buggie. The Kathy McCormack Award, recognizing athletes who are great school ambassadors and exhibit good sportsmanship went to Devan Brophy. Daniel Brophy received Male Athlete of the Year while Female Athlete of the Year is Kendra Underhill. 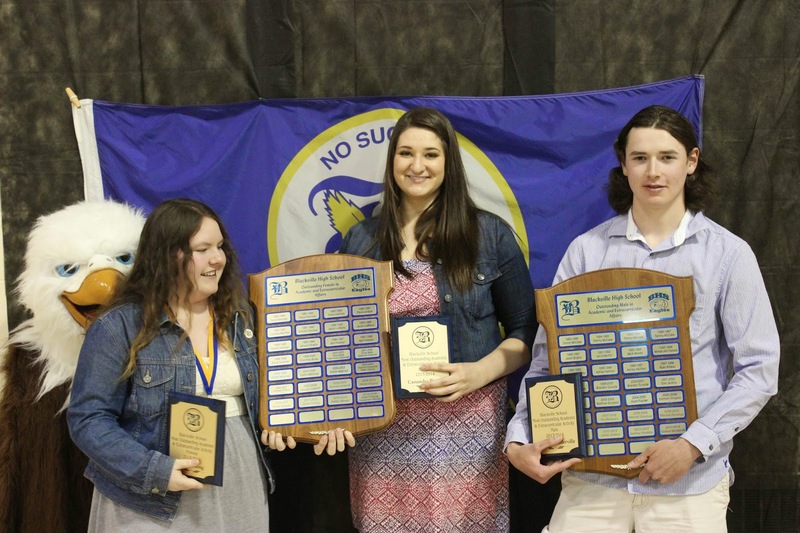 Josie Furlong received the Fenton Sturgeon Memorial Award which goes to a grade 12 student who has been involved in sports for all four years of high school. Special consideration is given to students who have volunteered their time coaching younger athletes outside school hours. The Most Outstanding Academic and Extra-curricular Award (female) was shared between Cassandra Waugh and Josie Furlong. Graham Manderville was the recipient for The Most Outstanding Academic and Extra-curricular Award (male).